The exclamation mark (British English and Commonwealth English) or exclamation point (American English) is a punctuation mark usually used after an interjection or exclamation to indicate strong feelings or high volume (shouting), and often marks the end of a sentence. Example: "Watch out!" Similarly, a bare exclamation mark (with nothing before or after) is often used in warning signs. Graphically the exclamation mark is represented as a full stop point with a vertical line above. One theory of its origin is that it is derived from a Latin exclamation of joy (io). The modern graphical representation is believed to have been born in the Middle Ages. Medieval copyists wrote the Latin word io at the end of a sentence to indicate joy. The word io meant "hurray". Over time, the i moved above the o, and the o became smaller, becoming a point. The exclamation mark did not have its own dedicated key on standard manual typewriters before the 1970s. Instead, one typed a period, backspaced, and typed an apostrophe. In the 1950s, secretarial dictation and typesetting manuals in America referred to the mark as "bang", perhaps from comic books where the ! appeared in dialogue balloons to represent a gun being fired, although the nickname probably emerged from letterpress printing. This bang usage is behind the names of the interrobang, an unconventional typographic character, and a shebang line, a feature of Unix computer systems. In the printing world, the exclamation mark can be called a screamer, a gasper, a slammer, or a startler. In hacker culture, the exclamation mark is called "bang", "shriek", or, in the British slang known as Commonwealth Hackish, "pling". For example, the password communicated in the spoken phrase "Your password is em-nought-pee-aitch-pling-en-three" is m0ph!n3. The exclamation mark is common to languages using the Latin alphabet, although usage varies slightly between languages. The exclamation mark was also adopted in languages written in other scripts, such as Greek, Russian, Arabic, Hebrew, Chinese, Korean, Japanese and Devanagari, but it has never been found in Hindi. A sentence ending in an exclamation mark may be an exclamation (such as "Wow! ", "Boo! "), or an imperative ("Stop! "), or may indicate astonishment or surprise: "They were the footprints of a gigantic hound!" Exclamation marks are occasionally placed mid-sentence with a function similar to a comma, for dramatic effect, although this usage is obsolescent: "On the walk, oh! there was a frightful noise." The exclamation mark is sometimes used in conjunction with the question mark. This can be in protest or astonishment ("Out of all places, the squatter-camp?! "); a few writers replace this with a single, nonstandard punctuation mark, the interrobang, which is the combination of a question mark and an exclamation mark. Overly frequent use of the exclamation mark is generally considered poor writing, for it distracts the reader and devalues the mark's significance. Cut out all these exclamation points...An exclamation point is like laughing at your own joke. Some authors, however, most notably Tom Wolfe and Madison Acampora, are known for unashamedly liberal use of the exclamation mark. In comic books, the very frequent use of exclamation mark is common—see Comics, below. Several studies have shown that women use exclamation marks more than men do, and one study suggests that, in addition to other usage, exclamation marks may also function as markers of friendly interaction, for example, by making "Hi!" or "Good luck!" seem friendlier than simply "Hi." or "Good luck." (with periods). In English writing and often subtitles, a (!) symbol (an exclamation mark within parentheses) implies that a character has made an obviously sarcastic comment e.g. : "Ooh, a sarcasm detector. That's a really useful invention(!)" It also is used to indicate surprise at one's own experience or statement. In French, next to marking exclamations or indicating astonishment, the exclamation mark is also commonly used to mark orders or requests: Viens ici ! (English: "Come here!"). A space (« espace fine ») is used between the last word and the exclamation mark in European French, but not in Canadian French. One can also combine an exclamation mark with a question mark at the end of a sentence where appropriate. In the salutation line of a letter, for which English uses a comma: Lieber Hans! (English: "Dear Hans,") In this case, the first word of the following sentence begins with a capital letter. However the use of a comma, as in English, is both acceptable and far more common. In Modern Greek, the exclamation mark (Θαυμαστικό, thavmastikó) has been introduced from Latin scripts and is used identically, although without the reluctance seen in English usage. A minor grammatical difference is that, while a series of interjections each employ an exclamation mark (e.g., «Ωχ! Αχ!», Ōch! Ach!, "Oops! Oh! "), an interjection should only be separated from an extended exclamation by a comma (e.g., «Ωχ, ξέχασα το μάτι της κουζίνας ανοιχτό!», Ōch, xéchasa to máti tīs kouzínas anoichtó!, "Oops! I left the stove on."). ¿Estás loco? ¡Casi la mataste! – "Are you crazy? You almost killed her!" In informal written online communications, however, inverted question and exclamation marks have become less common. Dice que esta noche no va a salir de fiesta (!). – "He said that he's not going to a party tonight(!)." Such use is not matched by an inverted opening exclamation mark. In Turkish, an exclamation mark is used after a sentence or phrase for emphasis, and is common following both commands and the addressees of such commands. For example, in Ordular! İlk hedefiniz Akdenizdir, ileri! ("Armies! Your first target is the Mediterranean") order by Atatürk, ordular (the armies) constitute the addressee. It is further used in parentheses "(!)" after a sentence or phrase to indicate irony or sarcasm: Çok iyi bir iş yaptın (!) ("You've done a very good job – Not!"). In Khoisan languages, and the International Phonetic Alphabet, the exclamation mark is used as a letter to indicate the postalveolar click sound (represented as q in Zulu orthography). In Unicode, this letter is properly coded as U+01C3 ǃ LATIN LETTER RETROFLEX CLICK and distinguished from the common punctuation symbol U+0021 ! EXCLAMATION MARK to allow software to deal properly with word breaks. The exclamation mark has sometimes been used as a phonetic symbol to indicate that a consonant is ejective. More commonly this is represented by an apostrophe, or a superscript glottal stop symbol (U+02C0 ˀ MODIFIER LETTER GLOTTAL STOP). There is a non–standard punctuation mark intended to combine the functions of a question mark and an exclamation mark in English called interrobang, which resembles those marks superimposed over one another ("‽") but it is seldom seen outside Unicode documentation - the sequence of "?!" or "!?" is used almost exclusively. Although exclamation marks are, as a standard, part of a complete sentence and not the spelling of individual words, they appear in many proper names, especially in commercial advertising. Prominent examples include the Web service Yahoo!, and Joomla! the game show Jeopardy! and the '60s musical TV show Shindig!. The titles of the musicals Oklahoma!, Oliver! and Oh! Calcutta! and the movies Airplane! and Moulin Rouge! also contain exclamation marks. Writer Elliot S! Maggin and cartoonist Scott Shaw! include exclamation marks in their names. In the 2016 United States presidential campaign, Republican candidate Jeb Bush used "Jeb!" as his campaign logo. The English town of Westward Ho!, named after the novel by Charles Kingsley, is the only place name in the United Kingdom that officially contains an exclamation mark. There is a town in Quebec called Saint-Louis-du-Ha! Ha!, which is spelled with two exclamation marks. The city of Hamilton, Ohio, changed its name to Hamilton! in 1986. The city of Ostrava, Czech Republic, changed its logotype to Ostrava!!! in 2008. The mark is encoded as U+0021 ! EXCLAMATION MARK (HTML &#33;). In mathematics, the symbol represents the factorial operation. The expression n! means "the product of the integers from 1 to n". For example, 4! (read four factorial) is 4 × 3 × 2 × 1 = 24. (0! is defined as 1, which is a neutral element in multiplication, not multiplied by anything.) Additionally, it can also represent uniqueness or, if used in front of a number, it can represent a subfactorial. In computing, the exclamation mark (sometimes called a "bang") corresponds to ASCII character 33 (21 in hexadecimal). It is therefore found in Unicode at U+0021 ! EXCLAMATION MARK. The inverted exclamation mark is found in ISO-8859-1, 9 and 15 at position 161 (A1HEX) and in Unicode at U+00A1 ¡ INVERTED EXCLAMATION MARK. The name given to "!" by programmers varies according to their background. In the UK the term pling was popular in the earlier days of computing, whilst in the United States the term shriek was used. It is claimed that these word usages were invented in the US and shriek is from Stanford or MIT; however, shriek for the ! sign is found in the Oxford English Dictionary dating from the 1860s. Several computer languages use "!" for various meanings, most importantly for logical negation; e.g. A != B means "A is not equal to B", and !A means "the logical negation of A" (also called "not A"). In the UK, BBC BASIC used pling as an indirection operator, equivalent to PEEK and POKE of four bytes at once. BCPL, the precursor of C, used "!" for pointer and array indirection: "!P" was equivalent to C's "*P" and "P!3" is equivalent to "P" in C.
Plings are also used in Acorn RISC OS to denote an application directory: a folder that when double clicked executes a program file inside called !Run. Other files in the appfolder generally contain resources the application needs to run. The appfolder can be viewed as a normal folder by double-clicking with the shift key held down. In addition, other special resource files such as !Boot (executed the first time the application containing it comes into view of the filer), !Sprites (an icon file containing icon definitions loaded if !Boot cannot be found) and !Help (a text, HTML or other executable file listed in the filer menu for the application) also start with a pling. In UNIX scripting (typically for UNIX shell or Perl), "!" is usually used after a "#" in the first line of a script, the interpreter directive, to tell the OS what program to use to run the script. The "#!" is usually called a "hash-bang" or shebang. A similar convention for PostScript files calls for the first line to begin with "%! ", called "percent-bang". An exclamation mark starts history expansions in many Unix shells such as bash and tcsh where !! executes the previous command and ! * refers to all of the arguments from the previous command. In the Scheme and Ruby programming languages, "!" is conventionally the suffix for functions and special forms that mutate their input. In the Swift programming language, a type followed by "!" denotes an "implicitly unwrapped optional", an option type where the compiler does not enforce safe unwrapping. The "!" operator "force unwraps" an option type, causing an error if it is nil. The exclamation mark can be used in video games to signify that a character is startled or alarmed. In the Metal Gear and Paper Mario series, an exclamation mark appears over enemies' heads when they notice the player. In recent Internet culture, especially where leet is used, multiple exclamation marks may be affixed with the numeral "1" as in !!!!!!111. The notation originates from a common error: when typing multiple exclamation points quickly, the typist may fail to hold the ⇧ Shift1 combination that produces the exclamation mark on many keyboard layouts. This error, first used intentionally as a joke in the leet linguistic community, is now an accepted form of exclamation in leet and derivative dialects such as Lolspeak. Some utterances include further substitutions, for example "!!!111oneeleven". In fandom and fanfiction, ! is used to signify a defining quality in a character, usually signifying an alternative interpretation of a character from a canonical work. Examples of this would be "Romantic!Draco" or "Vampire!Harry" from Harry Potter fandom. It is also used to clarify the current persona of a character with multiple identities or appearances, such as to distinguish "Armor!Al" from "Human!Al" in a work based on Fullmetal Alchemist. The origin of this usage is unknown, although it is hypothesized to have originated with certain Teenage Mutant Ninja Turtles action figures, for example, "Football Player! Leonardo", "Rockstar! Raphael", and "Breakdancer! Michelangelo". 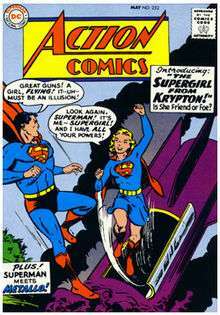 Some comic books, especially superhero comics of the mid-20th century, routinely use the exclamation point instead of the period, which means the character has just realized something; unlike when the question mark appears instead, which means the character is confused, surprised or he does not know what is happening. This tends to lead to exaggerated speech, in line with the other hyperboles common in comic books. A portion of the motivation, however, was simply that a period might disappear in the printing process used at the time, whereas an exclamation point would likely remain recognizable even if there was a printing glitch. For a short period Stan Lee, as Editor-in-Chief of Marvel Comics, attempted to curb their overuse by a short-lived ban on exclamation points altogether, which led to an inadvertent lack of ending punctuation on many sentences. In comic books and comics in general, a large exclamation point is often used near or over a character's head to indicate surprise. A question mark can similarly be used to indicate confusion. This practice also appears in some video games. In chess notation "!" denotes a good move, "!!" denotes an excellent move, "?!" denotes a dubious move, and "!?" denotes an interesting, risky move. In some chess variants such as large-board Shogi variants, "!" is used to record pieces capturing by stationary feeding or burning. In Scrabble, an exclamation mark written after a word is used to indicate its presence in the Official Tournament and Club Word List but its absence from the Official Scrabble Players Dictionary, usually because the word has been judged offensive. The band "!!!" (pronounced "Chk Chk Chk") uses exclamation points as its name. In 2008, the pop punk band Panic! at the Disco dropped the exclamation point in its name; this became the "most-discussed topic on [fan] message boards around the world". In 2009, the exclamation mark was re-inserted following the band's split. The band Bomb the Music Industry! utilizes an exclamation mark in its name, as well as several album and song titles and promotional material. Examples include their songs "(Shut) Up The Punx!!!" and the album Adults!!! : Smart!!! Shithammered!!! And Excited by Nothing!!!!!!!. American musician Pink is known to use an exclamation point in her stage name, (P!nk), as well as three in the subtitle of her Greatest Hits album, So Far!! !, which was released in 2010. In Musicals, an exclamation mark is usually used when the title of the show has the same title of a song within the act. Examples of this are shows like Oklahoma! and Mamma Mia!. ↑ White, Jan V. (1991). Graphic Idea Notebook. Allworth Press New York. ISBN 0935603646. ↑ Manunzio, Aldo (1531). Romani Institutionum grammaticarum libri IIII. ↑ MacKellar, Thomas (1885). The American Printer: A Manual of Typography, Containing Practical Directions for Managing all Departments of a Printing Office, As Well as Complete Instructions for Apprentices: With Several Useful Tables, Numerous Schemes for Imposing Forms in Every Variety, Hints to Authors, Etc. (Fifteenth - Revised and Enlarged ed.). Philadelphia: MacKellar, Smiths & Jordan. p. 65. ↑ Truss, Lynne (2004). Eats, Shoots & Leaves: the zero tolerance approach to punctuation. New York: Gotham Books. p. 137. ISBN 1-59240-087-6. ↑ Truss (2004), p. 135. ↑ Wilkinson, Clyde (1955). Communicating through letters and reports. Richard Irwin. p. 651. ISBN 0-256-02270-4. ↑ Hendrickson, Robert (1982). The literary life and other curiosities. Penguin Books. p. 358. ↑ Haley, Allan. "Punctuation". Archived from the original on March 13, 2012. ↑ Truss, Lynn (2004). Eats, Shoot & Leaves: The Zero Tolerance Approach to Punctuation. New York: Gotham Books. p. 136. ISBN 1-59240-087-6. ↑ "The New Hacker's Dictionary". ↑ The Tell-Tale Heart by Edgar Allan Poe. "Villains!" I shrieked, "dissemble no more! I admit the deed! — tear up the planks! — here, here! — it is the beating of his hideous heart!" ↑ "Effective use of email". E-strategy guide. Government of Australia, Dept. of Broadband. January 23, 2008. Archived from the original on September 29, 2009. Retrieved 2013-08-25. ↑ Archived July 18, 2014, at the Wayback Machine. ↑ "Terminal punctuation identifies the end of a sentence, and most commonly includes periods, question marks, and exclamation points.". Boundless.com. Retrieved 6 April 2015. ↑ Graham, Sheilah; Frank, Gerold (1959). Beloved Infidel: The Education of a Woman. New York: Bantam Books. p. 149. ↑ Carol Waseleski. "Gender and the Use of Exclamation Points in Computer-Mediated Communication: An Analysis of Exclamations Posted to Two Electronic Discussion Lists". Jcmc.indiana.edu. Retrieved 2012-10-12. ↑ "Being sarcastic". Learning English - How To. BBC World Service. Retrieved 2008-07-31. ↑ Kemme, Steve (September 21, 2001). "City's gimmick made a point". The Cincinnati Enquirer. Retrieved 2010-08-26. ↑ "Logo of the City of Ostrava". ostrava.cz. ↑ Raymond, Eric S. (1996). The New Hacker's Dictionary (3rd ed.). The MIT Press. p. 55. ISBN 978-0-262-68092-9. ↑ John Littler, John Maher (1989). Computers in the laboratory: a student guide to microprocessor interfacing. Longman. pp. 53, 54. Retrieved 30 Jan 2012. ↑ Adobe Developer Support (25 September 1992). "PostScript Language Document Structuring Conventions (DSC) Specification Version 3.0" (PDF). Developer Resources. Adobe Systems Incorporated. p. 92. Retrieved 2016-03-07. ↑ Cronin, Brian (January 28, 2010). Comic Book Legends Revealed #245. Comic Book Resources. Retrieved 2010-08-26. ↑ Adams, Eury, Swan (2006). The Krypton Companion. TwoMorrows Publishing. p. 141. ISBN 978-1-893905-61-0. Retrieved 2010-08-25. ↑ "Elliot S! Maggin, Super-Scribe!". Archived from the original on November 29, 2010. Retrieved March 23, 2009. ↑ Seabrook, Andrea (May 17, 2007). "The Musicians of !!! : Making Their Own 'Myths' " (Audio: Flash or MP3). All Things Considered. NPR. Retrieved 2010-08-26. ↑ Montgomery, James; Elias, Matt (January 11, 2008). "Panic At The Disco Explain Excised Exclamation Point". Artist News. MTV News. Retrieved 2010-08-26. ↑ Maura (July 10, 2009). "Panic! At The Disco Post New Music, Restore Their Exclamation Point". Retrieved 2009-07-16. ↑ "P!nk's Biography | The Official P!nk Site". Pinkspage.com. Retrieved 2012-10-12. ↑ "P!nk Music: Greatest Hits... So Far!!! (Edited) | The Official P!nk Site". Pinkspage.com. Retrieved 2012-10-12.